Children in Pre-primary schools learn an amazing amount of things and develop concepts and skills in the first few years of their lives. Children learn well if they are taught everything interactively in the classroom. 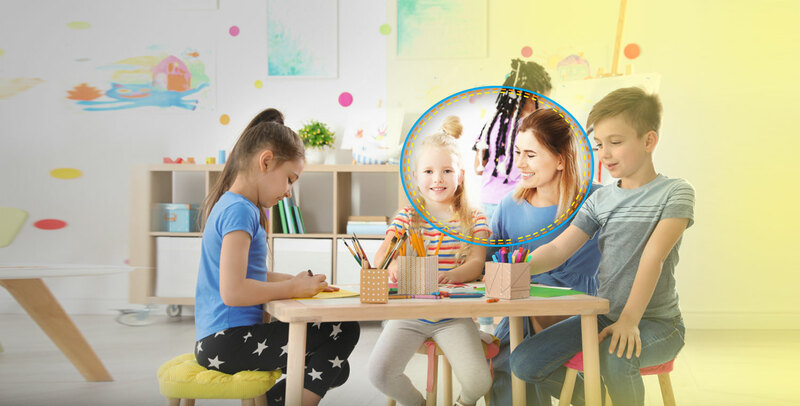 In a pre primary teacher training course aspirants get to learn the ways in which they can make learning interactive.Even parents can enhance the learning experience of their child by using imaginative strategies so that overall learning becomes fun and exciting. Pre-school learning comprises of methodologies which must in still a feeling of joy and anticipation among children. For example, when children learn to colour and paint they get excited as they like the activity. This is an interesting activity which can keep children hooked for hours. It is natural for parents to provide the best quality education and guidance to their kids.For this reason, they admit their children to the best schools possible. But, it is important to understand that the teaching approaches matter a lot apart from the institute from which children are receiving the education. This is the age of the internet and to teach kids, use of the internet will be required. Today, children are technologically savvy compared to their adult counterparts. Therefore,usage of the internet will help the teachers to connect with her students.They need to become conversant with the technology that comes naturally to the young. 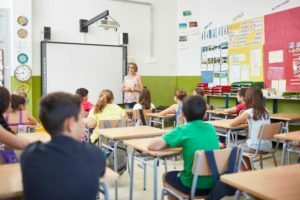 Integration of technology will also mean that you will be able to tap into the interests of the students.In the process of learning,however, teachers need to have a deep understanding of the tools.At present, the increased connectivity is helping teachers to educate children seamlessly. A student-centered approach is the heart and soul of pre-primary teaching.The teaching techniques are solely taught in a pre primary teacher training course provided in an institute.Collaborative learning increases engagement in classrooms and boosts interaction among the students and due to this, rather children also discuss class materials with their friends or in groups.This is a fine example of maximization of the level of participation. The students automatically work just as hard as the teachers. Teachers must make learning experiences such that they meet the individual needs of students in the classroom. Among the many types of learning, these three are considered the most important of learning styles. These are visual, kinaesthetic and auditory. The cognitive learning method deals with the characteristic features of these learners and the type of activities which they like the most. Teachers can also give individual instructions by matching assignments to their levels of readiness, and intervening whenever required. In the classroom, the teacher can ask children to select activities based on the areas of interest. In a pre primary teacher training course, a teacher learns the methods of identification of the needs and requirements of the children. Moreover, offering choices motivates kids a lot. When they work in small groups,teachers are better able to determine their needs. Setting up a goal is a great way to encourage students to take ownership of their learning. In the pre-school period, setting up a goal needs to be done in a very clear and simplistic way, for example,establishing two-way conversations with students about their progress in different areas. Project-based learning includes science, math, or social studies that will be given to the study groups. But it becomes more challenging to combine all of the subjects at once and hence is the need for project-based learning. The aim of project-based learning involves children carrying out a set of activities or completing goals that end up with a concrete result of some kind. This kind of learning helps teachers in being guides to children, assisting them in the development of real-world problems. In a pre-primary teacher training course, these are taught comprehensively.Learning can be made interactive in a number of ways and these are some of the ways in which you can do so.